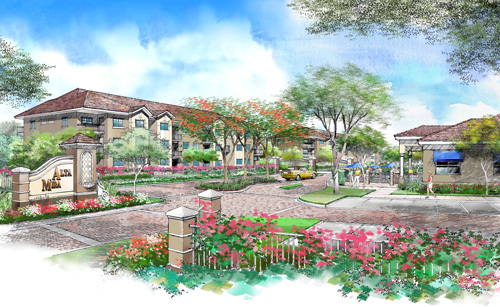 SCOTTSDALE, Ariz. – November 12, 2014 –Wood Partners has begun construction on Alta Paradise Ridge, a 278-unit luxury multifamily rental community on 5.85 acres in North Scottsdale near Arizona’s second-largest office submarket and world-renowned upscale shopping, golf, recreation and fine dining. Leasing is expected to begin in the 4th quarter of 2015. “Alta Paradise Ridge will be a contemporary, highly amenitized multi-housing project that will capitalize on strong retail and walkable amenities to the east, the new Mayo Clinic Cancer Center and the new Arizona Biomedical Corridor to the west,” said Todd Taylor, Wood Partners’ development director for Arizona and Nevada. Offering spectacular vistas of Piestawa Peak and the Sonoran Desert, Alta Paradise Ridge will have amenities including a resort-style pool and spa, barbecue grills and a bocce ball court. Apartments in the four-building complex (plus lofts), designed byBiltform, will have solid-surface countertops, plank flooring, stainless steel appliances and one-compartment sinks. Historically the strongest submarket in the Phoenix MSA, North Scottsdale leads the state in occupancy and rent growth and offers a combination of demographics, employment and amenities not found anywhere else in Arizona. Alta Paradise Ridge will be within easy walking distance to Scottsdale 101, which includes a Whole Foods, luxury retail and movie theaters, and less than two miles north of Scottsdale Quarter, a unique new city district with shopping, restaurants and entertainment. In addition, Old Town Scottsdale is a 15-minute drive. The Loop 101 Freeway, a half mile to the north, offers easy access to the East Valley, West Valley and Phoenix, and Alta Paradise Ridge will be within five miles of an estimated 13,300 businesses and nearly 160,000 jobs. Major employers including GoDaddy’s global headquarters, GE Capital, Taser International, Vanguard and Fender Guitars are all located within the North Scottsdale submarket. Prudential Real Estate was the seller, CBRE was the brokerage firm and Phoenix Capital is the equity partner. Wood Partners is the general contractor. According to the National Association of Home Builders’ formula to determine the local impact of multifamily housing in typical metro areas, adding 278 rental apartments will generate nearly $21.8 million in local income, $2.1 million in taxes and other revenue for local governments and 338 local jobs. 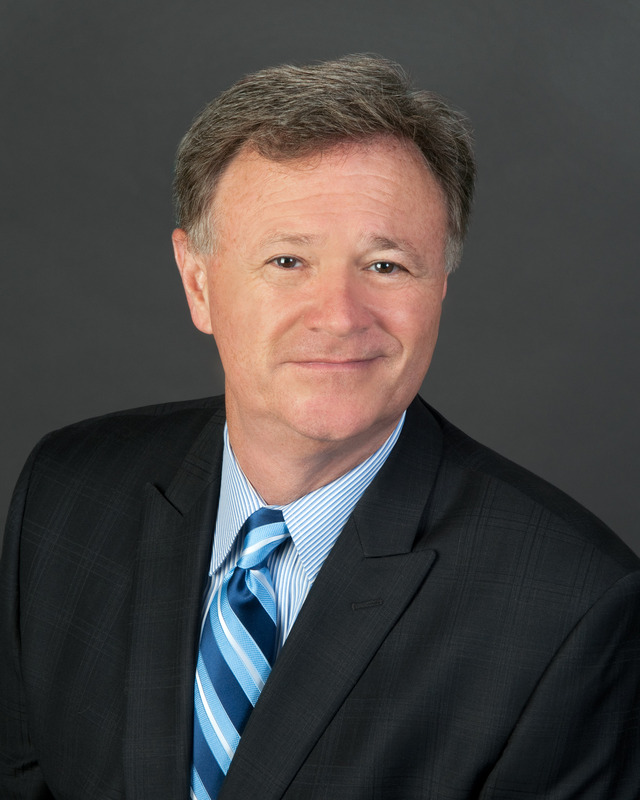 ATLANTA, GA – Wood Partners, the nation’s most active multifamily developer, has hired real estate veteran Robert Hanrahan as senior vice president of asset management. Based in Wood Partners’ Atlanta office, he will provide direction and leadership in carrying out the company’s operational strategy and execution for its growing multifamily portfolio. In his new role, Hanrahan will assess capital and real estate market conditions to develop an appropriate annual business strategy for Wood’s portfolio, supervise and train asset managers, and take a lead role in communication with investors across the portfolio, among other responsibilities. Spanning a 25-year multifamily and commercial management career, Hanrahan has worked for top companies such as RREEF, one of the world’s largest real estate investment managers, which he joined in 1996. Most recently he was vice president in the firm’s asset management group, where he managed 17 multifamily and mixed-use properties with approximately $1 billion in carrying value in the Midwest and Western United States. Hanrahan has also held multifamily management positions with Colonial Properties and The Habitat Company with responsibility for value-added repositioning, as well as portfolio oversight. Additionally, he has held commercial management positions with Tishman Midwest and FiField companies where he managed a portfolio of “Class A” suburban office buildings. Hanrahan holds a master’s degree in business administration from the University of Wisconsin and a bachelor’s of arts degree in political science from DePaul University. He is a Certified Property Manager through the Institute of Real Estate Management and also holds an Illinois Managing Broker’s license. About Wood Partners Wood Partners is a national real estate company that acquires, develops, constructs and property manages high density and mixed-use communities. In 2011, it was ranked the nation’s No. 1 multifamily developer with 3,750 unit starts. Through quality construction, responsible land development and intelligent design, our communities reflect the aesthetic and social fabric of the community and provide a luxurious living experience at a fair price. The company has been involved in the development of more than 40,000 homes with a combined value of more than $5.5 billion nationwide. Wood Partners has offices in 15 major markets nationwide including Atlanta, Baltimore, Boston, Charlotte, Dallas, Delray Beach, Denver, Houston, Newport Beach, Orlando, Phoenix, Raleigh-Durham, San Francisco, Seattle and Washington, D.C. To learn more about Wood Partners, please visit our Web site at www.woodpartners.com. SAN DIEGO, CA–(Marketwire – Aug 2, 2012) – The construction of Domain by Alta – San Diego, a $90 million luxury apartment community in San Diego’s Spectrum Center business park, is complete and the property is already more than 30 percent leased, announced Wood Partners, one of the nation’s largest and most active multifamily developers. Domain by Alta – San Diego apartment community, which opened in June 2012, is a four-story podium project that was started from the ground up in August 2010. It is comprised of two rental apartment buildings erected over two levels of subterranean parking with room for 750 vehicles and a separate community clubhouse. Domain by Alta – San Diego is located in the master-planned, 244-acre San Diego Spectrum business and residential community at 8795 Lightwave Avenue. The community is ideally situated midway between Interstates 805 and 15, and just one mile south of Route 52, providing easy access to downtown San Diego, the local beaches and Mission Valley. The apartment rentals are a mix of 23 studios, 197 one-bedroom and 159 two bedroom apartments, and 35 units meet an affordability requirement. The quality of the apartments units and the amenities are superior to most of the local competition, and all units include wood laminate flooring, granite countertops, stainless steel appliances and in-unit washers and dryers. 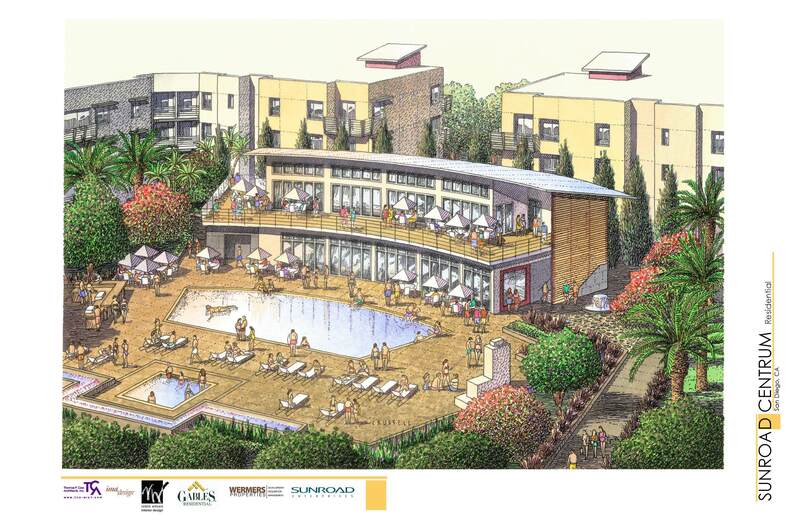 The community is centered around an expansive pool area with cabanas, a spa, barbeque pits, a waterfall and trellises that take maximum advantage of the area’s temperate climate. A two-story clubhouse with reclaimed teak flooring features a glass wall and a second-story, 1,200-square-foot outdoor deck that overlooks the pool as well as a state-of-the-art fitness center and wireless Internet access. Wood Partners built a two-acre public park in front of the project on land owned by the City of San Diego. About Wood Partners Wood Partners is a national real estate company that acquires, develops, constructs and property manages high density and mixed-use communities. In 2011, it was ranked the nation’s No. 1 multifamily developer with 3,750 unit starts. Through quality construction, responsible land development and intelligent design, our communities reflect the aesthetic and social fabric of the community and provide a luxurious living experience at a fair price. The company has been involved in the development of more than 40,000 homes with a combined value of more than $5.5 billion nationwide. Wood Partners has offices in 15 major markets nationwide including Atlanta, Baltimore, Boston, Charlotte, Dallas, Delray Beach, Denver, Houston, Newport Beach, Orlando, Phoenix, Raleigh-Durham, San Francisco, Seattle and Washington, D.C. To learn more about Wood Partners, please visit our Web site atwww.woodpartners.com. 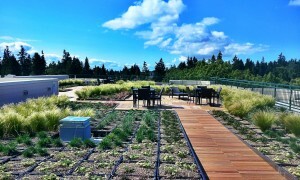 SEATTLE, WA- July 9, 2012 – Wood Partners announced today that it has leased more than 50 percent of its new 91-unit luxury apartment community in Wedgwood, Jasper by Alta, which officially opens tomorrow. Wood Partners broke ground on Jasper by Alta, located at 8606 35th Avenue NE in Seattle, in June of last year and construction is in its final weeks. The pre-leasing has been conducted by Indigo Real Estate Services. Jasper by Alta is close by the University of Washington hospital and the currently expanding Seattle Children’s hospital, two vibrant and growing employers, less than 10 miles to downtown Seattle, and just a very short drive from the 520 bridge crossing into the Redmond, Bellevue, and Kirkland employment centers. The area is extremely walkable offering a variety of nearby shopping options, including the robust University Village, and grocers, cafes, salons, and dining. There are also walking and bike trails including beach parks near Jasper. Jasper by Alta features four stories with a single-level subterranean garage and an expansive green roof deck, as well as a spacious community room. The building features room to spread out not frequently seen in contemporary Seattle’s urban apartments with studios, one- and two-bedroom units ranging in size from just under 500 to more than 1,400 square feet. Among the unit amenities are beautiful slab granite countertops with glass tile backsplashes, hardwood-style laminate flooring in the kitchens and bathrooms, spacious walk-in closets and bathrooms, and one- and two-bedroom floor plans with den and bonus space. Many homes even have bay windows and private patios, decks and balconies. In addition to the rooftop deck, which is perfect for entertaining, lounging, and barbecuing, the common amenities include Wi-Fi, a resident lounge and demonstration kitchen ideal for resident gatherings and meetings, and an adjoining media room with flat screen television and additional seating area. The project was constructed by Exxel Pacific. The design team included Baylis Architects, DCI Engineers, Nakano Associates landscape architects and Sechrist Design Associates for interior design. The lender on the construction loan is Banner Bank. Additional information is available at www.jasperbyalta.com. About Wood Partners Wood Partners is a national real estate company that acquires, develops, constructs and property manages high density and mixed-use communities. In 2011, it was ranked the nation’s No. 1 multifamily developer with 3,750 unit starts. Through quality construction, responsible land development and intelligent design, our communities reflect the aesthetic and social fabric of the community and provide a luxurious living experience at a fair price. The company has been involved in the development of more than 40,000 homes with a combined value of more than $5.5 billion nationwide. Wood Partners has offices in 15 major markets nationwide including Atlanta, Baltimore, Boca Raton, Boston, Charlotte, Dallas, Denver, Houston, Newport Beach, Orlando, Phoenix, Raleigh-Durham, San Francisco, Seattle, and Washington, D.C. To learn more about Wood Partners, please visit our Web site at www.woodpartners.com. 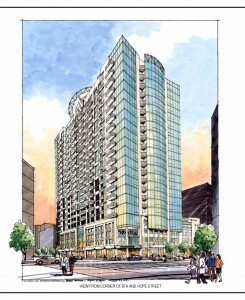 LOS ANGELES, CA–(Marketwire – Jul 6, 2012) – Plans for a luxury, glass high-rise apartment project in downtown Los Angeles — shelved during the 2008 economic downturn — are on the front burner again as high demand and low construction costs make multifamily housing attractive to investors and developers. 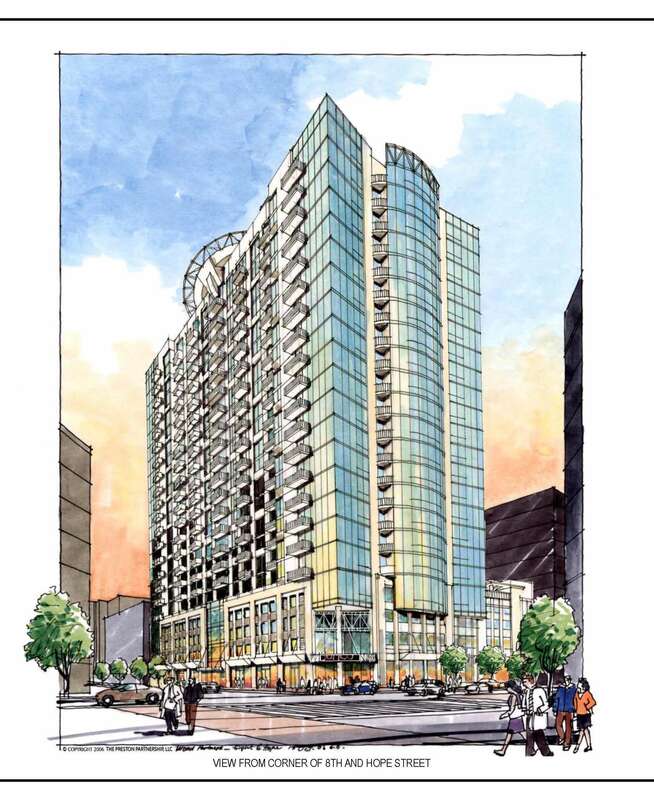 Wood Partners, the nation’s leading builder of multifamily housing, expects to break ground on the 22-story, 290-unit project in the South Park district at 801 S. Hope St. in September, with leasing to start in the summer of 2014. The .7 acre yet-to-be named complex was purchased by Wood Partners back in 2008. The project will be modeled after Glass House Dallas, the developer’s popular 375-unit luxury apartment community in Texas, and its 393-unit high-rise condo project, Glass House Denver. The one-and two-bedroom units will consist of floor-to-ceiling glass, and will incorporate the most popular floor plans of Wood Partners’ many existing high rise multifamily residential communities across the country. The Hope Street high-rise will offer an impressive amenity package, and each unit will include an expansive balcony and high-end interior finishes. Also included is an approximate 10,000 square foot elevated pool deck with thoughtfully designed clubroom with retractable glass walls that lead out to the oversized pool, outdoor social/dining area, spa, fire pit and garden retreat. Additionally, a roof top deck overlooking the Staples Center and LA Live to the southwest and the high rise buildings of the Central Business District to the north will provide additional outdoor gathering/event option for residents. Parking will be on six levels, two of them underground, with 5,000 square feet of retail space on the street level. In addition to the 290 units planned at 8th and Hope streets, Wood Partners has 800 units under construction in Southern California, including 298 units at the $75 million Warner Park luxury apartment community 25 miles northwest of Los Angeles, set to begin leasing early next year. Hansen sees opportunity for additional development. Two of the largest and fastest-growing areas of Southern California are downtown Los Angeles and Hollywood, he said. In 2010, Wood Partners completed a 218 unit project in Hollywood that had many of the same urban, transit oriented characteristics of this project at 8th and Hope. Housing demand by workers in their 20s to upper 40s will continue to grow downtown, according to Wood Partners’ market research. The area boasts 500,000 jobs but only 30,000 to 35,000 housing units. Because of its close proximity to jobs, businesses and mass transit, the property on Hope Street has a Walk Score of 97 out of 100. A recent Brookings Institution study predicts a bright future for highly accessible and walkable neighborhoods in urban locations such as South Park. “Our research shows that real estate values increase as neighborhoods became more walkable, where every day needs, including working, can be met by walking, transit or biking,” Christopher B. Leinberger, co-author of the study, wrote in the May 25 New York Times. The construction of the Hope Street high-rise project is estimated to generate nearly $23 million in local income, $2.4 million in taxes and other revenue for local governments, and some 350 local jobs. The annual recurring impacts of building 290 rental apartments in a typical metro area typically are $6.7 million in local income, $1.1 million in taxes and other revenue for local governments, and more than 90 local jobs, based on data supplied by the National Association of Home Builders. About Wood Partners Wood Partners is a national real estate company that acquires, develops, constructs and property manages high density and mixed-use communities. In 2011, it was ranked the nation’s No. 1 multifamily developer with 3,750 unit starts. Through quality construction, responsible land development and intelligent design, our communities reflect the aesthetic and social fabric of the community and provide a luxurious living experience at a fair price. The company has been involved in the development of more than 40,000 homes with a combined value of more than $5.5 billion nationwide. Wood Partners has offices in 15 major markets nationwide including Atlanta, Baltimore, Delray Beach, Boston, Charlotte, Dallas, Denver, Houston, Newport Beach, Orlando, Phoenix, Raleigh-Durham, San Francisco, Seattle, Washington, D.C. To learn more about Wood Partners, please visit our Web site at www.woodpartners.com. MIAMI, FL–(Marketwire – Jun 26, 2012) – Love Funding, one of the nation’s leading providers of FHA multifamily and healthcare financing, and national multifamily developer Wood Partners announced the closing of a $26.8 million loan for the construction of Alta Mira Apartments, a new market-rate apartment community in Miami. 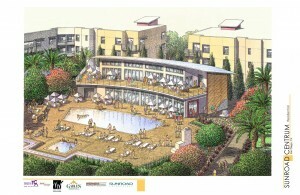 Construction is scheduled to begin in July with the first units expected to be available in February 2013. About Love Funding Love Funding is a fully-approved HUD LEAN and MAP lender serving clients across the country from its headquarters in Washington D.C. and offices in Boston, Chicago, Cleveland, Dallas, Denver, Kansas City, Knoxville, Los Angeles, New York, Palm Beach, Tampa and St. Louis. The company offers refinance, construction and acquisition financing programs for multifamily, senior housing and healthcare facilities, including hospitals. Love Funding is one of the Love Companies, a St. Louis-based investment holding company with origins dating back to 1875. 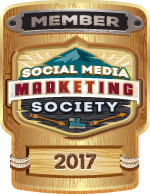 To learn more please visit our website and join us on Facebook and Twitter. Wood Partners is a national real estate company that acquires, develops, constructs and property manages high density and mixed-use communities. In 2011, it was ranked the nation’s No. 1 multifamily developer with 3,750 unit starts. Through quality construction, responsible land development and intelligent design, our communities reflect the aesthetic and social fabric of the community and provide a luxurious living experience at a fair price. The company has been involved in the development of more than 40,000 homes with a combined value of more than $5.5 billion nationwide. Wood Partners has offices in 15 major markets nationwide including Atlanta, Baltimore, Delray Beach, Boston, Charlotte, Dallas, Denver, Houston, Newport Beach, Orlando, Phoenix, Raleigh-Durham, San Francisco, Seattle, Washington, D.C. To learn more about Wood Partners, please visit our Web site at www.woodpartners.com.